Yesterday, Wednesday 10th October 2018, was World Mental Health Awareness Day. Mental health has become a major issue, with this country in particular seeing increasing rates of depression, particularly amongst school and university students, not to mention the poor, the disabled and the unemployed. According to yesterday’s I newspaper, 4,500 people take their lives every year, and a total of 6,213 people killed themselves last year in the UK and Eire. It’s the leading cause of death in blokes under 45. Guys in the UK are three times more likely to end it all than women, and in Eire the rate is four times. With this such an issue, Tweezer decided to make a world first by appointing Jackie Doyle-Price as the world’s first Minister for Mental Health, Inequalities and Suicide Prevention. The I yesterday published this pic of Doyle-Price grinning into a camera. According to the paper, her responsibilities will include ensuring that every local area has a plan to prevent unnecessary deaths. She is also going to be investigating how technology can be used to identify those most at risk. “I understand how tragic, devastating and long-lasting the effect of suicide can be on families and communities. In my time as health minister I have met many people who have been bereaved by suicide and their stories of pain and loss will stay with me for a long time. “It’s these people who need to be at the heart of what we do and I welcome this opportunity to work closely with them as well as experts, to oversee a cross-Government suicide prevention plan, making their sure their views are always heard.” (p.3). Which are fine words, but from her voting record and previous attitude to the poor and desperate, it’s a pack of lies. Mike posted an article today pointing out the critical role Tory policies towards the poor, such as cutting benefits, had contributed immensely to rise the suicide. He notes that the inquest into the death of Stephanie Bottrill, who was worried about the bedroom tax, found that the stress caused by the Tory government of the day resulted in her taking her own life. “Statistics show that those with long-term physical or mental health issues are significantly more likely to be dependent on the state for assistance with housing and living costs. Which is precisely what the Tory attitude to the welfare state and their wretched reforms don’t do. Thatcher wanted to destroy the welfare state completely, including the NHS. She was prevented from doing so, but she was determined to make getting benefits as hard, cruel and degrading as possible to deter people from going on it. It was one of the wretched ‘Victorian values’ she took over, the principle of ‘less eligibility’ underlying the poverty and degradation of the workhouse. And the Tories have gone on with the same attitude ever since, followed by Blair’s equally revolting New Labour. Mike has, in his articles, argued strongly that there is a deliberate policy of ‘chequebook euthansia’ behind the Tories’ welfare reforms. It seems as though they’re consciously and deliberately planned to drive the most vulnerable to suicide, so Cameron, Tweezer, IDS, Esther McDeath and the whole sordid lot can save more money, and give more tax cuts to the filthy, pointlessly rich. There’s a nasty strain of Social Darwinism in the Republican Party on the other side of the Atlantic, and it’s in the Tories over here as well. In the survival of the economic fittest, these parties see the rich and business leaders as the biologically superior. And the poor have only themselves to blame – it’s all due to their inferior constitutions. In the Social Darwinism of the 19th century, such people would always be with humanity. The only solution was to stop them breeding by denying them welfare support and sterilizing them. Or simply murdering them, as the Nazis did with their notorious Aktion T4. And there can be little doubt that Tory policies are driving the poor and vulnerable to take their own lives. Despite repeated whines by the Conservatives that ‘correlation doesn’t indicate causation’, some of those, who have killed themselves left notes, which stated plainly that there were doing so because of the stress of benefit cuts and sanctions. Mike’s article states that 1/2 of all women claiming benefits have thought about killing themselves. So how does Doyle-Price herself measure up in this? Well, abysmally, as it happens. She voted for raising the bedroom tax, voted against increasing benefits in line with inflation, voted against increasing benefits for the long-term sick and disabled, and voted 46 times in favour of cutting benefits. This was also in Mike’s article from Nursing Notes, who took it from They Work For You. Worse. She added insult to grievous wounding by laughing about the subject. Yep, she’s also joked about suicide. I’m not surprised about that either. The Tories have absolutely no sympathy for the suffering of the poor. They really do think it’s a jolly joke. Like when Cameron and Ian Duncan Smith were caught on TV laughing in parliament when one woman’s account of the troubles she’d had claiming benefit were read out. They had a good guffaw, like some Nazi version of the Chuckle Brothers. Nor is the DWP sympathetic to those with suicidal thoughts. When one claimant said that they were depressed and thinking of suicide, one DWP clerk asked them why they hadn’t done it already. Mike in his article quotes the reactions of a number of people to the news that Doyle-Price has been appointed to this post. Keith Ordinary Guy said it was like curing malaria with the plague. Matt Turner said it was a grotesque slap in the face to those struggling on. And Samuel Miller, a friend of Mike’s blog, who’s been campaigning for disabled students since attending McGill University in the 1970s, said that nothing angered him more than the government’s maltreatment of the sick and disabled. Was it? I don’t think so. I think it was a signal; they appointed the least appropriate person for the job because they think the deaths and attempted deaths of hundreds of thousands of people are nothing but a big joke. They really are that repulsive. I don’t think there’s any contradiction between these two positions. Yes, it is a sop to counter the headlines about the soaring suicide rate. And yes, the Tories do find it all a joke, and so deliberately appointed the least appropriate person. She’s there not because she has any real sympathy with the mentally ill, the depressed, the disabled and suicidal. She’s there purely to make sure the system carries on, while limiting any damage to the party that appointed her. She’s just a mouthpiece, who’s simply there to spout reassuring platitudes and assure the public that the Tories are taking this issue seriously. And all the while she’s going to laugh about it behind her back. Get her out, get Tweezer out and the whole wretched lot of them OUT! Before they drive any more people to their deaths. Mike over at Vox Political blogged about this issue last week. In this piece from RT, the presenter interviews journalist Steve Topple over the official figures that 90 people a month are dying after being found fit for work under the Work Capability Test. In one instance, a man, Lawrence Bond, collapsed and died of a heart attack right outside the jobcentre. He had been found fit for work, despite having an underlying heart problem. Topple also goes further, and cites other, highly disturbing figures that show the immense harm the tests are doing to disabled people. Oxford University found that 590 people had taken their own lives due to them. The tests are also linked to 270,000 cases of mental illness, and the prescription of 800,000 drugs for people suffering from the stress of these tests. Topple and the present also discuss how the tests were introduced by New Labour back in 2008 as a way of redefining disability. Topple states that we do need to cut the welfare bill, but the tests are a blunt instrument that harms the disabled. Topple also makes the point that the tests themselves are uneconomical. They’re more expensive to administer than whatever savings are produced from them. Mike and the other disability bloggers and activists have pointed out that this isn’t about saving money. It’s about penalizing and harassing the poor and disabled, simply for being poor and disabled. It is part of the principle of less eligibility, the ideology behind the workhouse, which Maggie Thatcher so enthusiastically embraced as one of her vile ‘Victorian values’. They also make short work of another scandal – the DWP’s refusal to hand over the precise figures on the pretext that this would damage ‘commercial confidentiality’. The document being requested is Maximus’ – the company that has been administering the tests since 2015 – own internal report into the results of their tests across regions. Topple states that in refusing to publish the report, the DWP is acting directly against the orders of the Information Commissioner, who has demanded that the figures be published. The claim of commercial confidentiality is a nonsense anyway. If a company is performing the work of a government department, then it should be open to public scrutiny in the same way a government department is. If you want to argue philology here, the Latin phrase for ‘state’ was ‘res publica’, the ‘public thing’, which became our word, ‘republic’. By implication, if a company is therefore working as part of the res publica, it should be open to inspection by the public, as free citizens. Of course, this is all deeply abhorrent to the DWP and its heads, Iain Duncan Smith and now Damian Green. These two and their underlings and fellow ministers have been determined to cull as many of the disabled as possible in what Mike has called ‘chequebook euthanasia’, while hiding the figures from the general public. Mike has said many times on his book about the immense struggle he has had getting the true figures from the DWP, who refused, stonewalled, and challenged his requests for them. Just as they did to other disability bloggers and activists. To see the names and biographies of some of the people, who have been killed by this vile policy, go to Mike’s blog, as well Stilloaks, Johnny Void and Another Angry Voice, and see DPAC’s website for their criticisms and campaigns against the DWP. As for the Department itself, I fully concur with Mike: it should be broken up, and the worst offenders in it, those determined to make the lives of claimants as miserable as possible, should be sacked with no chance of a golden handshake. Frankly, if there was an real justice, Smith, Green and the Wicked Witch of the Wirral, Esther McVie, should be behind bars on a charge of corporate manslaughter. Mike also put up a post yesterday reporting that Westminster council has decided on another authoritarian way of dealing with homelessness. They’re going to round them up and send them to other councils outside the borough from January 30th. The council’s excuse for this disgraceful policy is that it’s to combat the high cost of temporary accommodation. Mike points out that the reality is that it’s simply more social cleansing from a Tory-run council, whose leaders want to take as much as possible for themselves while giving little to others. Mike also makes the point that the real way to tackle homelessness is to make sure people are able to keep their homes, and states that it’s a miracle that anyone is there to do the cooking, cleaning and other menial work for the borough’s rich electors. This is truly disgusting behaviour by some of the most vile dregs of humanity, all dressed up as respectable people in the same way their activities are decorated with a veneer of respectability. Scratch it and see the corruption. Johnny Void has been covering policies like this for a very long time. He has a particular interest in homelessness, and has put up countless posts about how Tory policies, and those of New Labour, actually create homelessness and make life worse for homeless people. He has also covered the social cleansing policies of the various councils in London and elsewhere, whose solution to the problem of rough sleepers is to make sure they are not seen on the streets, and so drive them out of town centres or the area altogether. This is part of the same mindset that seems very happy with putting house prices well out of the ability of working people to afford them, forcing them to commute from the poorer boroughs where they live into the exorbitantly expensive areas where they work further into London. And the council has plenty of previous in its exploitative and abysmal treatment of its poorer residents. In the 1980s or ’90s there was the ‘homes for votes’ scandal, in which the council leaders, Dame Shirley Porter, and her minions deliberately put working class, Labour voters in sub-standard property with dangerous levels of asbestos as part of a strategy to engineer a cosy victory for the Tories. Thatcher famously used to bang on about ‘Victorian values’, by which she meant making welfare as uncomfortable and difficult for the poor as possible, in order to deter them from using. Like the architects of the workhouse. This policy, however, goes further back. Right back to the 16th century. It’s a return of the old Elizabethan legislation in which the homeless in search of work were, unless they had a permit, to be whipped and sent out of the borough. Except that they haven’t got round to flogging them yet. However, as Mike put up a couple of posts just before Christmas of incidents where people thought that beating and urinating on the homeless and their bedding was a great joke, this probably won’t be long. This shows the disgusting medieval attitude of the rich lords and ladies of Westminster council, and how they view us serfs, even if we are fortunate enough not to have to live on the streets. One of the perennial complaints by the Right is that anyone who goes on strike for more pay, better working conditions or shorter hours is, by definition, either lazy, greedy or both. It was the accusation that the Republicans in America flung at striking teachers a year or so ago, and it was pretty well parroted by the Daily Heil over here, when it decided to have a go at public sector workers and their pensions. Now I noticed from reading Mike’s blog that the Scum has decided to wade in against the junior doctors. As to the so-often repeated objection that nobody would labour if he were not compelled to do so by sheer necessity, we heard enough of it before the emancipation of slaves in America, as well as before the emancipation of serfs in Russia: and we have had the opportunity of appreciating it at its just value. So we shall not try to convince those who can be convinced only by accomplished facts. As to those who reason, they ought to know that, if it really was so with some parts of humanity at its lowest stages – and yet, what do we know about it? – or if it is so with some small communities, or separate individuals, brought to sheer despair by ill success in their struggle against unfavourable conditions, it is not so with the bulk of the civilised nations. With us, work is a habit, and idleness an artificial growth. 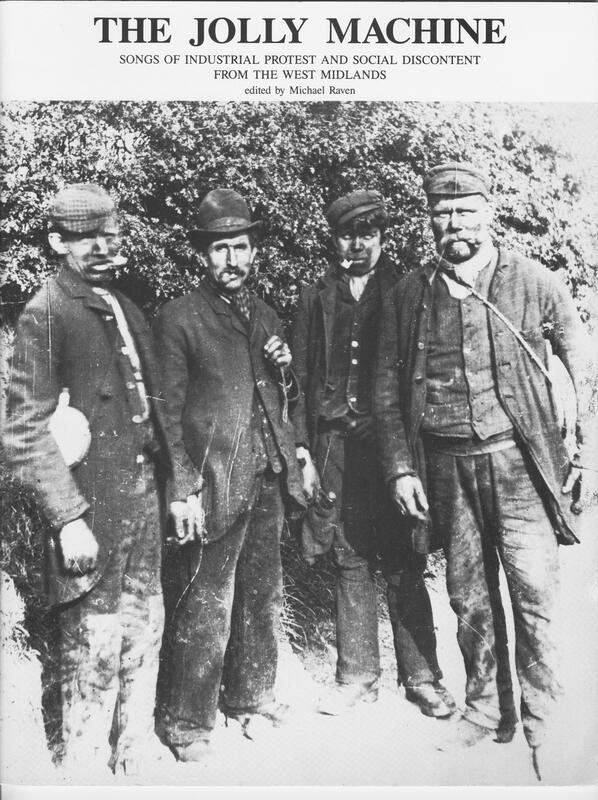 Of course, when to be a manual worker means to be compelled to work all one’s life long for ten hours a day, and often more, at producing some part of something – a pin’s head, for instance; when it means to be paid wages on which a family can live only on the condition of the strictest limitation of all its needs; when it means to be always under the menace of being thrown tomorrow out of employment – and we know how frequent are the industrial crises, and what misery they imply; when it means, in a very great number of cases, premature death in a paupers’ infirmary, if not in the workhouse; when to be a manual worker signifies to wear a lifelong stamp of inferiority in the eyes of those very people who live on the work of their ‘hands’; when it always means the renunciation of all those higher enjoyments that science and art give to man – oh, then there is no wonder that everybody – the manual worker as well – has but one dream: that of rising to a condition where others would work for him. When I see writers who boast that they are the workers, and write that the manual workers are an inferior race of lazy and improvident fellows, I must ask them: Who, then, has made all you see about you: the houses you live in, the chairs, the carpets, the streets you enjoy, the clothes you wear? Who built the universities where you were taught, and who provided you with food during your school years? And what would become of your readiness to ‘work’, if you were compelled to work in the above conditions all your life at a pin’s head? No doubt you would be reported as a lazy fellow! And I affirm that no intelligent man can be closely acquainted with the life of the European working classes without wondering, on the contrary at their readiness to work, even under such abominable conditions. (Peter Kropotkin, Anarchist Communism: It Basis and Principles, in Peter Kropotkin, ed. Nicolas Walter, Anarchism and Anarchist Communism: Its Basis and Principles (London: Freedom Press 1987) 53-4). The editor of the Scum is an old Etonian. The proprietor of the Daily Heil, Lord Rothermere, is a multi-millionaire tax avoider. And I doubt very much that the Heil’s editor, Paul Dacre, comes from a working class background either. They have no right to despise the working classes as lazy. As for the junior doctors, Mike has posted up extensive pieces from them showing that this is most certainly not about extra pay. They are very much concerned about patient safety, and their ability to give potentially life-saving service after working long hours. And if some medical professionals are better than most of us, it’s because they should be rewarded for the immense skill required of them, and the heavy responsibility they bear. No-one will die tomorrow – at least, I hope not – if the sports writer in the Scum is in no fit state to write his column. Someone might very well die, however, or suffer terrible ill-health, if a responsible doctor makes a poor decision due to lack of sleep, or is forced to do one job too many because of the need to find ‘savings’ through staff cutbacks. And no-one would suffer tomorrow either if Jeremy Hunt and the rest of his wretched crew were booted out of office. Rather the opposite! Late last night I put up a quote from Richard Oastler, condemning the Victorians’ treatment of the poor as criminals by confining them in the workhouse if they wanted poor relief. This came from Poverty and Public Health 1815-1948, by Rosemary Rees (Oxford: Heinemann 2001). The book is school text on attitudes to poverty, poor relief, health, housing and sanitation in the 19th and early 20th century before the foundation of the NHS and welfare state. It’s profusely illustrated, with contemporary photographs, cartoons, drawings, plans and diagrams. 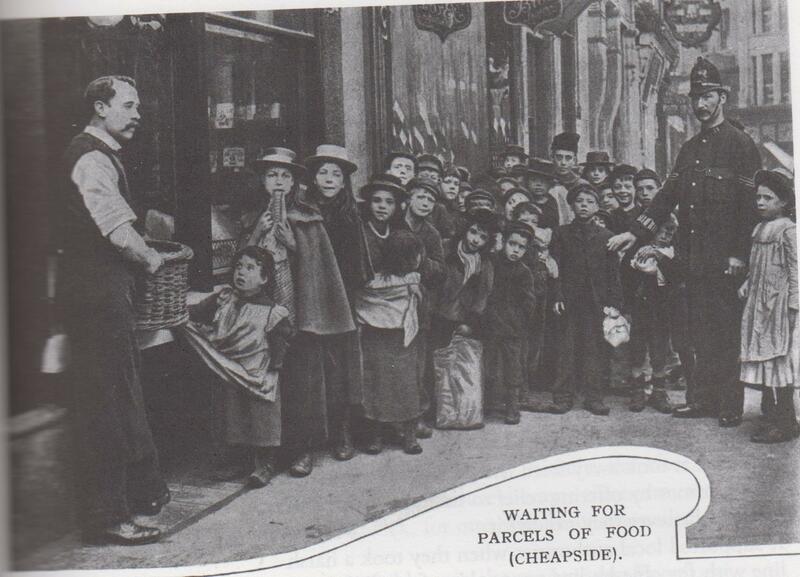 One of the photos is this picture of a group of mainly children waiting for a hand-out of charity food in 1900. About a year or so ago I put up on this blog a late Victorian – Edwardian poem about children waiting in a queue in the early morning to receive food given as part of poor relief. I commented that this could describe the situation now, in the 21st century. Hundreds of thousands are being forced to use the food bank thanks to Ian Duncan Smith’s, George Osborne’s and Dave Cameron’s destruction of the welfare state and imposition of the sanctions regime. 4.7 million people are living in ‘food poverty’. The photo is a document of the face of poverty at the turn of the 20th century. With just a few changes in fashion, it could also be the face of poverty in the first years of the 21st. I’ve put up a few pieces in the past few days tracing Thatcher’s ‘Victorian values’ and the modern Tories’ emphasis on conditionality in welfare support – or what’s left of it – to the doctrine of less eligibility that insisted that welfare relief should be made as hard and uncomfortable as possible in order to dissuade the able-bodied poor from going on it. The recommendation of the Tory think-tank, Reform, that the disabled should be paid the same amount of relief as those without disabilities very strongly echoes the classic statement of the principles of ‘less eligibility’ as articulated by a Victorian Poor Law Commissioner. One man acting as a bridge between the centuries was G.M. Trevelyan, who was born in 1876 and who was Regius Professor of Modern History at Cambridge from 1927 to 1940. His British History in the Nineteenth Century and After first appeared in 1922 and was still being printed as a paperback in the 1960s. In it, Trevelyan gave a classic defence of the Poor Law Amendment Act of 1834. Before that date magistrates in England and Wales had had the power to supplement inadequate wages out of local rates – a form of relief which Trevelyan describes as destructive of self-respect and self-help, virtues which could be restored to what he called the ‘cringing poor’ only by the ‘intellectually honest’ if ‘harsh’ reform of 1834. (Trevelyan 1965, pp. 248-9). (p. 4). (My emphasis). Trevelyan was one of the leading historians of that period, and my guess is that many schoolchildren and students studying history in the early and middle twentieth century were brought up on at least some of his works. My mother, for example, has a copy of one of them, though she certainly doesn’t share his attitudes. My guess is that Trevelyan’s works form the intellectual background to Thatcher’s ‘Victorian values’ and their re-emergence in the Tory party. Of course, she was greatly taken with von Hayek, slapping to down in front of her cabinet colleagues to say ‘This is what we all believe now’, but I think Trevelyan’s influence was already strong, at least in preparing the intellectual ground for von Hayek, Friedman and the like. And it’s disgusting that what should have gone the way of the 19th century is still blighting life in the early 21st. The reference to the farmers and noblemen in hell asking for water ‘to cool their parching tongue’ come’s from Christ’s parable of Dives and Lazarus. Lazarus, a poor beggar, lies at the gate of Dives, the rich man, but is given no help by him. They both die, but whereas Lazarus ascends to paradise to be with Abraham, Dives finds himself in hell. He calls to Lazarus for help, but Lazarus cannot. He is not able even to answer Dives request to give him some water to put on his tongue. This is clearly a very bitter song, which accurately describes conditions in the workhouse. Inmates were forced to pick oakum to provide caulking for ships, but doing this for too long wrecked their hands. As for the chorus of ‘Home, home, sweet home’, it’s very much a bitter comment on the song, ‘Home, Sweet Home’, which was composed at the same time. 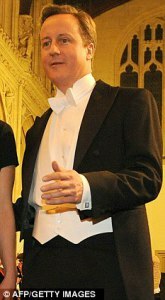 I can remember listening to a BBC radio programme on British music through the ages broadcast on Christmas, 1999, which remarked that the song, ‘Home, Sweet Home’, must have been viewed extremely bitterly by some because of the immense hardship and deprivation inflicted on the poor through the New Poor Law. It’s clearly of its time, but, like many of the others I’ve posted here, it’s still relevant because of the way the Tories and Tory Democrats are reintroducing aspects of the workhouse and the legislation that supported. Such as the principle of less eligibility, that conditions on benefit should be made so hard and humiliating as possible in order to deter people from claiming it. And people have died, and are losing their homes and dignity through the Coalition’s welfare reforms, just as they did in Victorian Britain. I think it’s entirely possible that the song could be revived, if altered a bit to make it rather more relevant to today’s conditions, to make this timeless point about the Tories attitude to the poor. Especially as we are led by farmers – Iain Duncan Smith – and noblemen – Cameron, Clegg and George Osborne. I found this in the sheet music section of Hobgoblin Music, a music shop specialising in folk songs, music and instruments in Bristol’s Park Street. Subtitled Songs of Industrial Protest and Social Discontent From the West Midlands, the songs in this collection describe and protest about the hardships of nineteenth century industrial urban life, covering low and unpaid wages, hard, exploitative factory masters, prison and transportation, unemployment, and the threat of mechanisation, the soul destroying drudgery of the workhouse, emigration, and Chartism and the promise of political reform from the Liberals. There’s also an explanatory note about the songs at the back. ‘Waiting for Wages’ and ‘The Tommy Shop’ deal with ‘tommy notes’. Until the passage of the Truck Acts, many employers didn’t pay money wages to their workers, but only tokens or notes that were only valid at the company shops, thus exploiting their workers further and massively increasing their profits. ‘Waiting for Wages’ is written from the women’s point of view, and describes them waiting for their menfolk to hand over their wages, half of which they’ve already spent in the pub. Heirs to the hungry earth. To hear the Chartist cheers. At a time when many working and lower middle class people feel disenfranchised and ignored by the political class, this is a song that could well be revived for today’s struggle to get politicians to wake up and take notice of the poverty and alienation now at large in Britain. And the Tories keep you poor. Cameron: A titled Tory keeping you down, if ever there was one! And gain the bill – REFORM! The truth you will confess. And never will say die. The description of the Tories still remains exactly correct. Unfortunately, the present government has the song’s claim that the Liberals are the poor men’s friend to be a hollow joke, although it was certainly true at the time. The songs are an interesting document about the hardship and social injustice working people experienced in the nineteenth century. It’s the other side of the coin to the image of ‘merrie England’ presented in some traditional songs and the Tory view of history promoted by Michael Gove. And with exploitative employers now eager to use the cheap labour supplied by unemployed ‘volunteers’, ‘interns’ and those on workfare, assisted by a Tory government of aristocrats enforcing a policy of low wages and harsh, anti-union legislation, these songs are all too relevant. Over at Pride’s Purge, there’s a piece of satire about Serco and G4s getting the contract to run a Victorian Britain Experience, so foreigners can see what it was like here in the 19th century, complete with cholera, typhus and rickets, and the workhouse. The article’s entitled ‘Serco Wins Bid to Run UK as Victorian Theme Park’, and is at http://tompride.wordpress.com/2013/07/30/serco-wins-bid-to-run-uk-as-victorian-theme-park/. People have been making the same joke since Margaret Thatcher. There’s exactly the same joke about Maggie setting up the Victorian Britain Experience in the Private Eye/ Spitting Image spoof of her autobiography, Thatcha! The Real Maggie Memoirs. This is chilling. Mr Void states that at the moment there are only nine such centres and the accommodation they offer is actually quite comfortable. If the scheme expands and goes out to market tender, then conditions will deteriorate and the usual workfare parasites will demand their share of the scheme. He also links to the ‘less eligibility’ sensibility that informed the Victorian workhouse. Under less eligibility, conditions were made as hard as possible to dissuade people from entering except as a very last resort, and so becoming a drain on the state. If this report is taken seriously, then it really would mean the reintroduction of something like the Victorian workhouse. Although the workhouses are mostly associated with the Victorian era, they were actually only closed with the arrival of the welfare state in 1948. It thus appears that the government really is considering returning this country to the 19th and early 20th centuries by dismantling the NHS, and replacing it with ‘indoor relief’: in other words, the workhouse. There’s a good chapter on the workhouse in E.C. Midwinter’s Victorian Social Reform, published by Longman. It’s a short book for ‘A’ level and undergraduate university students. It does have a collection of contemporary sources at the back, and these include the descriptions of the horrific level of starvation to which the residents of one workhouse were reduced. This should be essential reading for anyone even remotely interested in this policy, if only to correct the view that they were somehow picturesque institutions gained from seeing Oliver! once too many.